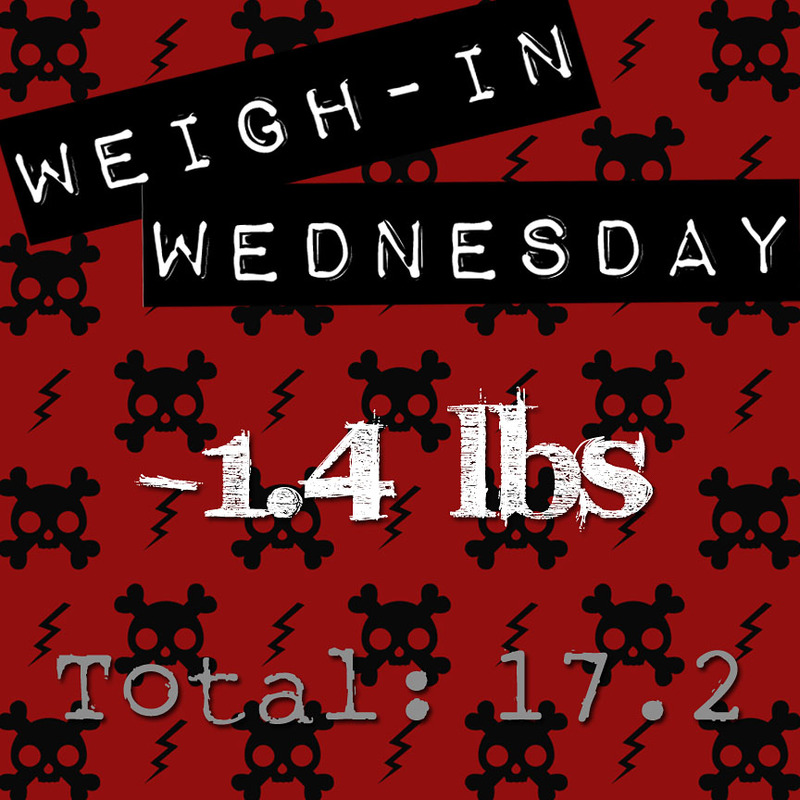 I know this blog has been a little boring of late if you’re not here to follow my weight loss updates. I do apologize for that. But I have two exciting beauty posts in the works (one mega review and one collaboration with a friend!) and two new recipes just waiting to be photographed and shared. Buuuut it’s October. Which means I’m busy with photos and getting ready for little Mojo’s second birthday party. Today’s WIW image is an homage to the punk rock birthday party I’ve been planning for him. I’ll probably blog about that too. Cause, you know, the cute. Non-Scale Victories: I finally made it to the doctor’s for a physical. Turns out she and I have a similar number in mind for what my weight goal should be. (And it’s almost 15 lbs more than Weight Watchers says. WHEW!) I also chose to go to yoga class with my favorite instructor EVEN THOUGH (a) I’d already made my 11K step goal for the day and (b) my yoga buddy couldn’t make it. This Week’s Goals: Finish processing photos before my double session weekend. Finish new KMP website. 2 Zumba music videos per day. 2 yoga classes this week (to make up for the one I skipped this month). Have so much fun with Mojo for his birthday.